Next on our list of superfoods are avocados. If possible, adding avocados to your plate while in training or just in general is a great way to incorporate a variety of vitamins, minerals and healthy fats to your diet. 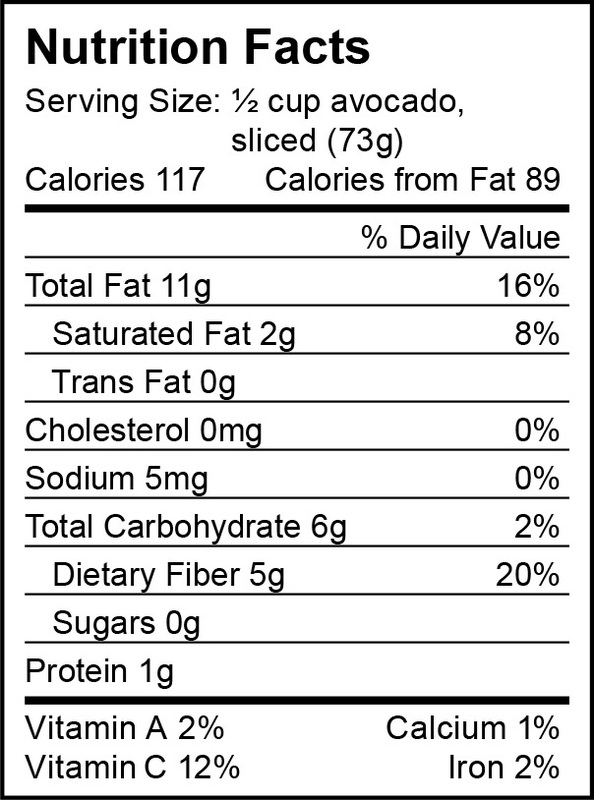 6 teaspoons of an avocado provide the body with 4g of fat, 2g of carbohydrates, 1g of protein and 45 calories. When it comes to the human body, there are 13 vitamins that we need. Avocados contain 20 vitamins and minerals that help support a healthy diet. Avocados contain healthy fats, vitamin K, vitamin E, vitamin C, vitamin B6, potassium, copper, folate and dietary fiber. These vitamins and minerals are excellent to help the body fight against cancer and heart disease. When it comes to athletes, as we exercise, our muscles form small tears that cause inflammation. Avocados are one of the best foods to help address this inflammation and it can heal the tears in our muscle tissue. When it comes to fiber, it’s important for runners to meet the daily needs in order to support a healthy digestive system. One serving of avocado provides 7 grams of fiber which is 25% of what the body needs. When it comes to athletics, maintaining a healthy stomach will overall help the body absorb nutrients better and stay healthy as you train. Avocados also provide soluble fiber which can reduce the risk of heart disease, and regulate blood sugar. “Including one avocado each day as part of a moderate-fat, cholesterol-lowering diet compared to a comparable moderate-fat diet without an avocado provides additional LDL (low-density lipoproteins) lowering effects, which benefit CVD risk,” said Penny M. Kris-Etherton, Distinguished Professor of Nutrition. While the high fat content in avocados may draw some athletes away from adding it to their diet, the healthy fats in avocados are great for the body and have anti-inflammatory properties. Kris-Etherton and colleagues conducted a study to test the effects of avocados on cholesterol. They conducted their test with 45 healthy, overweight adults and discovered that a moderate-fat diet with avocado consumption decreased bad cholesterol by 13.5mg/dl, while LDL was decreased by 8.3 mg/dl. About 43% of all U.S. households buy avocados. There are seven varieties of avocados grown commercially in California, but the Hass is the most popular, accounting for approximately 95% of the total crop volume. To tell if an avocado is really perfectly ripe, hold it in the palm of your hand and gently squeeze. Hard as a rock? Not ripe. Squishy? Overripe. Have as much give as chilled butter? Perfectly ripe. Check out this awesome recipe for a Tangy Cucumber and Avocado Salad, or an Avocado Dessert! Written by Elijah Keys. You can send him questions and ask advice by emailing: Elijah@islandboost.com.